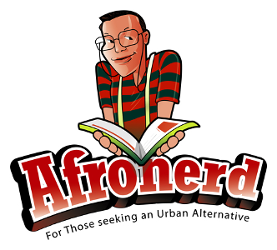 Deciphering #ADOS; Killer Mike's Trigger Warning; Badlands Ends@S3-Grind 6pm - Afronerd: The Blerd Revolution Has Begun! Time for straight and direct information, AFROnerdists! Check out a new episode of Afronerd Radio's Grindhouse podcast (before the official move to another platform) airing Sundays at 6pm eastern. Join your favorite "Blerdfleet" Academy podcasters as they tackle the following pop/pulp/political issues: picking up what we failed to address during the last show....what is the burgeoning #ADOS (American Descendants of Slaves) movement and why do some in the mainstream black media space (Angela Rye, Joy Ann Reid, Roland Martin) believe ADOS to be a Russian "bot" hack; hip hop artist/activist, Killer Mike has a new Netflix docu-series, Trigger Warning with Killer Mike; AMC cancels Into the Badlands-no season 4; Boondocks returns (sort of); it appears that black features and natural hair are a no go for the first animated outing of RiRi Williams aka Ironheart; a large size blogger caught a rude awakening after a bad date and "weight" privilege may be a thing; an Aquaman spinoff focusing on the "trench" creatures is being discussed (really? 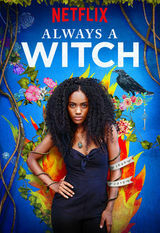 ); Netflix' Afro-Colombian series, Siempre Bruja or Always a Witch is being critiqued for relying on tired racial tropes and lastly, some folks are already putting their thumbs down for the new Chucky reboot. Call LIVE at 646-915-9620.